Marian Brown PR is a full service book publicity and consulting firm serving both individual authors and publishers. Led by Marian Brown, a publishing insider with more than 20-years experience, we have the proven expertise and results in developing programs that target the big publicity guns — and then go well beyond traditional media. We create personalized programs to capitalize on each book and author's unique niche and message, helping to find the largest and most satisfied audience. An expert in all aspects of publicity, marketing, advertising and special events, Marian enjoys working with first-time and established authors to help them demystify the entire publishing and publicity machine. She is well connected and highly respected; her contacts folder is chock full of journalists, reviewers and media producers throughout the country with whom she maintains excellent relationships. Marian has worked with the major publishing houses including Alfred. A. Knopf, Basic Books, The Free Press, Pantheon, Henry Holt, Wiley, Houghton Mifflin. Doubleday, Simon and Schuster and Bloomsbury. 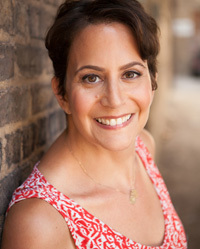 She has held upper-management positions in publicity, advertising and editorial and now specializes in the areas of business, politics, narrative non-fiction, fiction, self-published fiction, memoir, psychology and pop culture. Marian Brown PR is located in New York City.